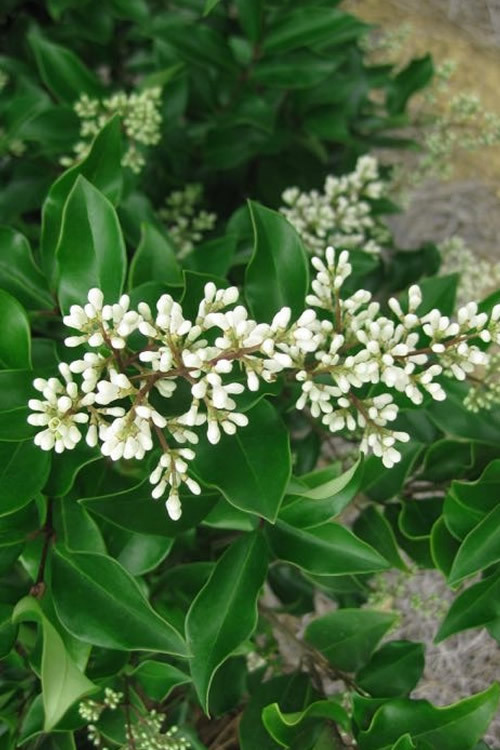 Commonly called Recurve or Wavy Leaf Ligustrum, Ligustrum japonicum 'Recurvifolium' is a tough and adaptable fast-growing evergreen flowering shrub which makes an excellent hedge as low as 5 feet or lower branches can be removed to form a very attractive small tree. Fragrant white flower clusters are produced in abundance during spring followed by black berries that are enjoyed by the birds. Get all the details below! Note: For our customers who live and garden north of USDA Plant Hardiness Zone 7a, where this Ligustrum variety is not reliably winter hardy, you'll be happy to know it can be grown in containers that can be brought indoors during winter and placed back outside when temperatures warm up in spring. 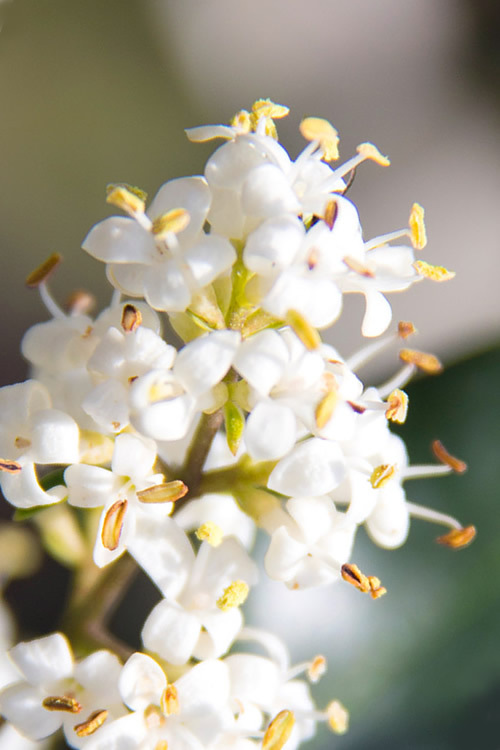 Commonly called Recurve or Wavy Leaf Ligustrum, Ligustrum japonicum 'Recurvifolium' is a tough and adaptable fast-growing evergreen flowering shrub which makes an excellent hedge as low as 5 feet or lower branches can be removed to form a very attractive small tree. Fragrant white flower clusters are produced in abundance during spring followed by black berries that are enjoyed by the birds. The arrow-shaped, dark green leaves are waxy and wavy, providing rich color and unique texture in the landscape. 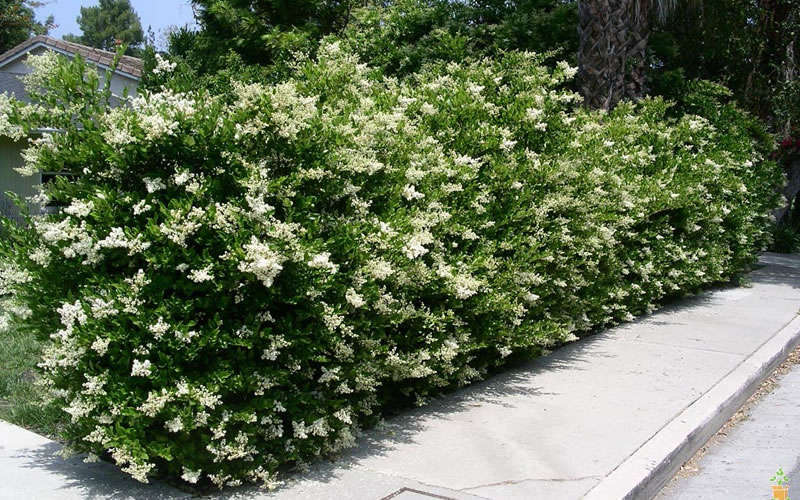 If you're looking to create a natural or clipped hedge or privacy screen it doesn't get much better than the Wavy Leaf Ligustrum. This shrub can be left to grow naturally to 10 feet or so in height, or responds very well to shearing for hedges that can be maintained at 5 feet or more in height. 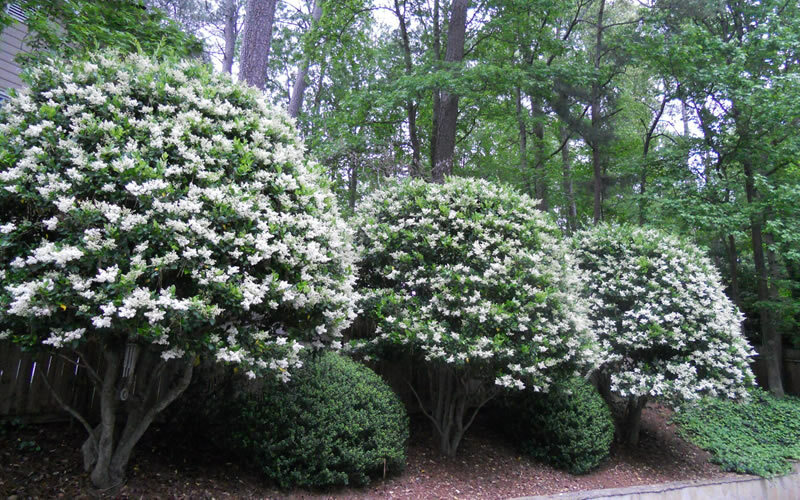 As this Ligustrum grows, lower branches can be removed to form a very attractive evergreen flowering focal point specimen tree for use in landscape borders and home foundation plants. 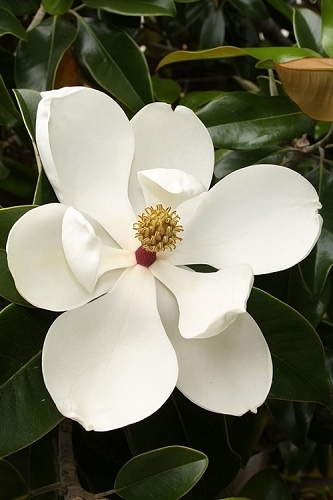 A fine addition to fragrance gardens, white theme gardens, Asian theme gardens, and the Xeriscape (low water needs). 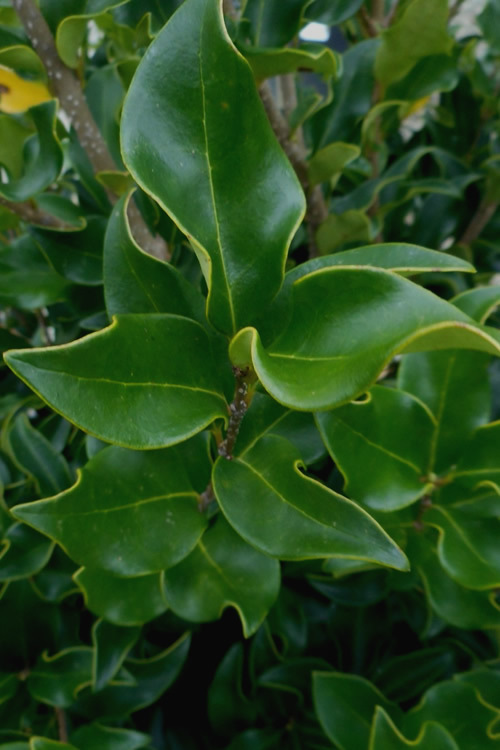 Wavy Leaf Ligustrum is exceptionally easy to grow in most any moist but well drained soil of average fertility and full sun to light shade. Exceptionally drought tolerant when established. Constantly soggy or wet soils can cause problems with the roots. 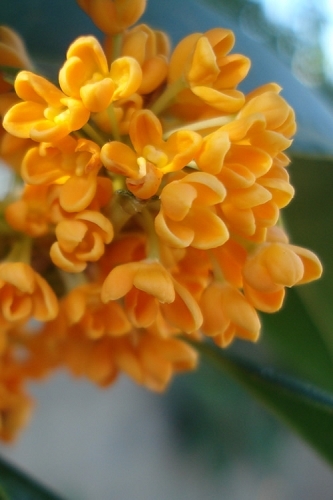 It prefers a moist but well drained soil in full sun to light shade. Highly resistant to deer, disease, heat, humidity, and insects. 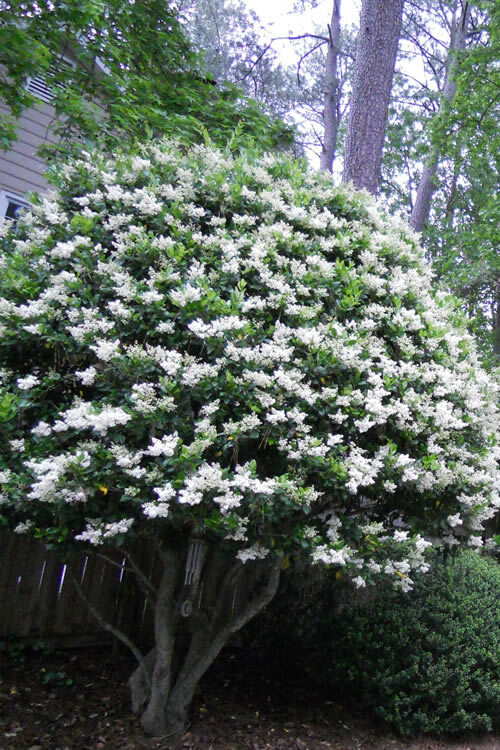 No pruning necessary, however can be pruned as a formal hedge or small tree. 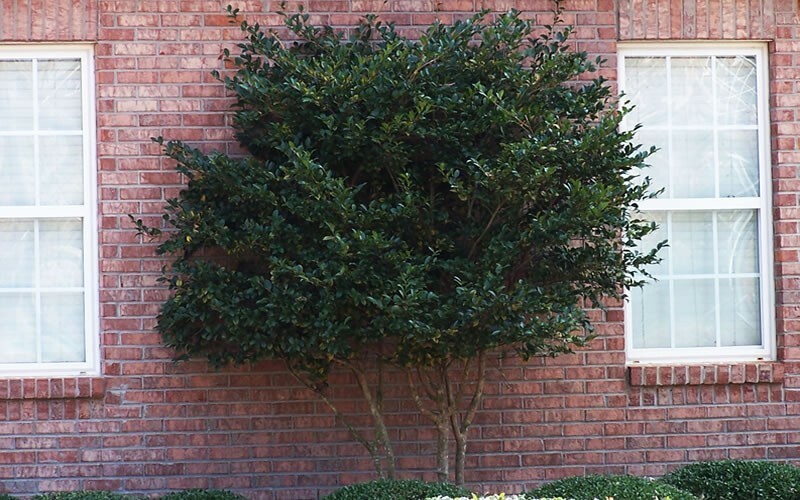 Click on a link below to find helpful advice from our experts for how to plant and care for Ligustrum and Privet shrubs. Good afternoon. The plants arrived beautifully packed and shipped. We will definitely use your company in the future. Q: I would like to buy either 7 gal or 10 gal wavy leaf lugustrum. Do you have and when can ship? Very sorry, because we ship Package delivery we do not grow or carry Wavy Leaf Ligustrum larger than 3 gallon. Sizes larger than that become far too expensive to ship.